Kenny began 40 years of athletic service to the area in 1942. He was a scorekeeper, referee, line judge, public address announcer, starter, timer, finish judge and chain gang coordinator for high school events. Kenny worked with track coaches Chelsea Boone, Matt Ronzone and Jim Eger. He was right-hand man to basketball coaches John Longfellow, Bill Milliner, Keith Dougherty, Jim Powers and Steve Johnson. He had a long association with football coaches John Janzaruk, Tom Kurth, Jim Hales and Dale Rems. Kenny was among the driving forces in the development of the Tim Bringle and Catherine Wolf awards (for outstanding Elkhart senior male and female athlete, respectively). He also initiated the traveling trophy awards for boys and girls sports between Elkhart Central and Memorial high schools. He helped raise funds for trophy cases at North Side Gym and other schools. The Elkhart Community Schools recognized his years of service in 1987, presenting him the Distinguished Educators Award. He was a longtime member of the St. Joseph Valley Athletic Officials Association as well as the motivating force behind the St. Joe Chapter of the Football Hall of Fame. He was named to the Football Hall of Fame in ’87. He also was recipient of the Russell D. Oliver Memorial Award in 1990 and was honored by the Elkhart Lions Club as its Outstanding Citizen in 1984. 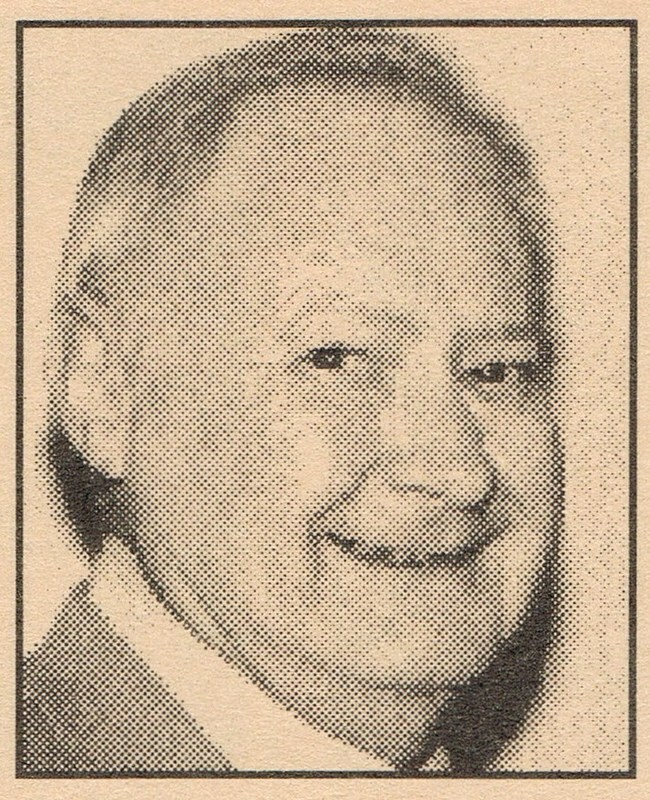 Kenny received the Joe Boland Award in 1992 from the Indiana Sports Writers and Broadcasters Association. A permanent display at North Side Gym pays tribute to Kenny for his many years of volunteer work with the athletic programs in the Elkhart Community Schools.